This is the fifth still image, of eight images presented, of The Light of Archangel Raphael captured on video the evening of November 18, 2015. 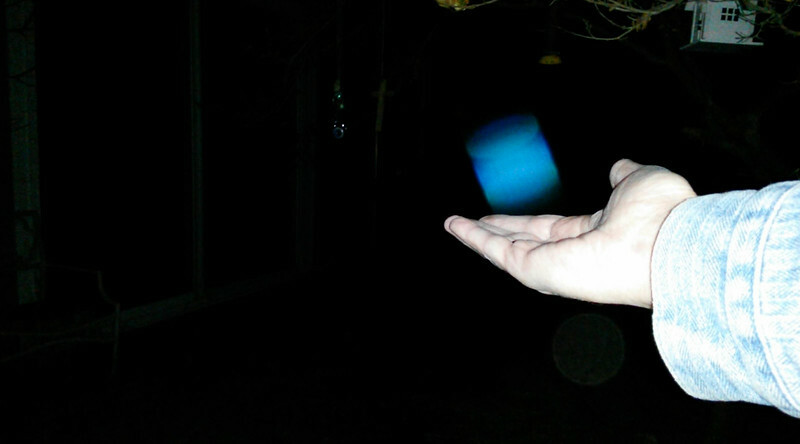 In this image, you can see a golden orb underneath my hand, which is linked with Archangel Raphael. The orb is not a separate Light Being. I have documented this connected orb before, but not while an Angel is on me. However, that could simply be that my hand has to be at just the right angle in order to capture The Light of the orb. Raphael told me the symbolism of the orb was: "'That which is above is the same as that which is below'...Macrocosmos is the same as microcosmos. The universe is the same as God, God is the same as man, man is the same as the cell, the cell is the same as the atom, the atom is the same as...and so on, ad infinitum."